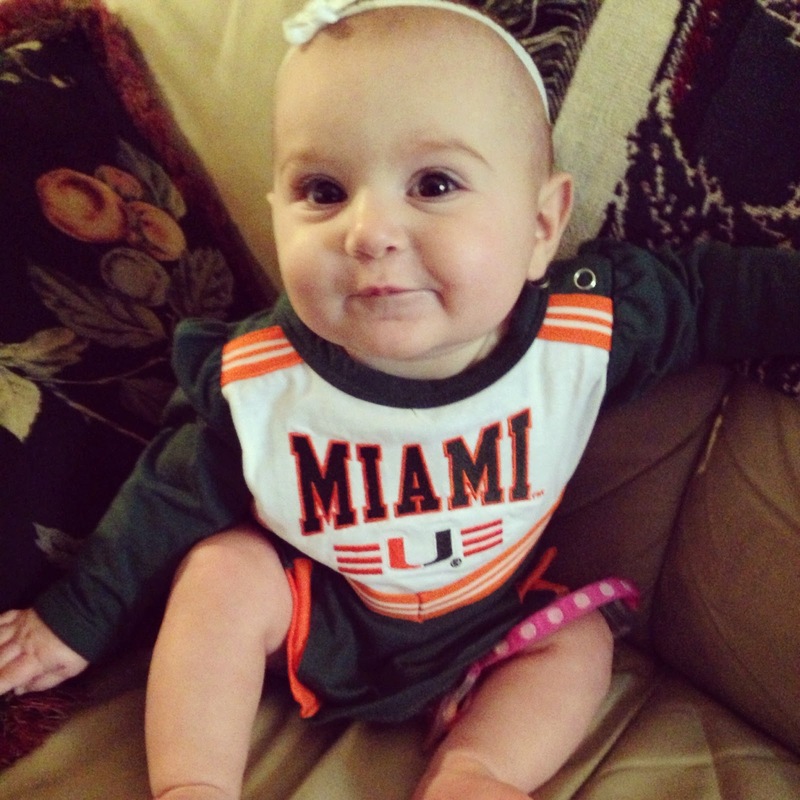 Blogger and new mom Jane Johnston of My Squeaky Sneakers is raising an adorable baby girl in a family of sports fans. 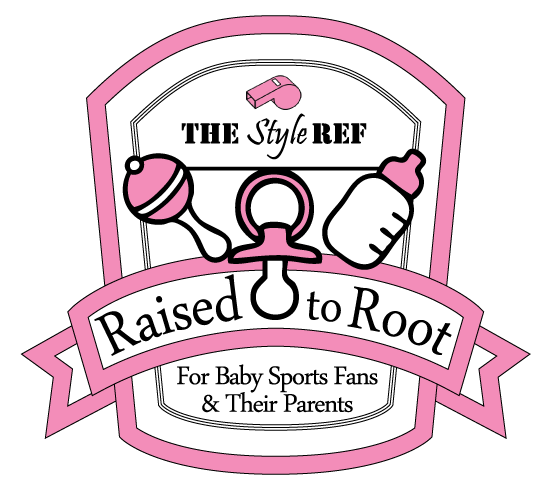 Naturally, she's a perfect resource for TSR's Raised to Root series, so she's breaking down the top baby essentials every sports fan mom needs. I recently had a baby girl, who is turning 1 very soon, and as a sports fan - from a family with many, many sports fans - I have a great head start on discovering some of the coolest baby items for sports fans. So I decided to come up with this list of 5 Baby Necessities for a Sports Fan Mom (or Dad!). 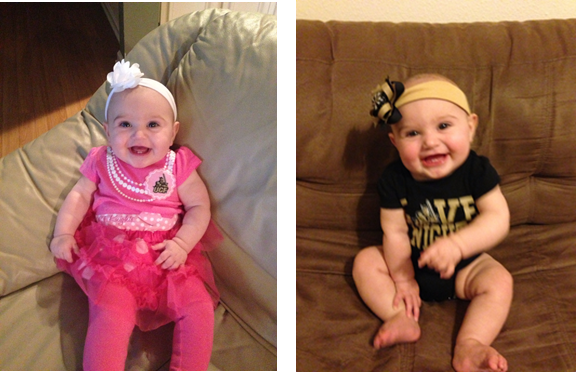 However, UCF did come through on the first item on the list, which is the perfect baby outfit for the big game. One of the cutest sets I found was of three really cute onsies from Target, made especially for adorable, baby girls! I particularly love the pink version with built in accessories, but the original black and gold is pretty great as well. Now, I do have enough sports fans in the family to accommodate my desire for sports team baby items and the next item on my list is one of the coolest things I have ever seen. Ever wonder how you are going to enjoy the tailgate at your team’s next game with baby coming along? Well, if your kid is anything like mine, she will be perfectly happy spending most of her time snacking in a comfy, sports team-themed portable highchair. I found this on sportsfanoutlet.com and thought it was the perfect tailgate necessity to keep any baby happy while mommy and daddy relax at the tailgate party. It’s just like the chairs mommy and daddy would bring to the tailgate, too, with a handy logo-ed carrying case to throw over your shoulder. 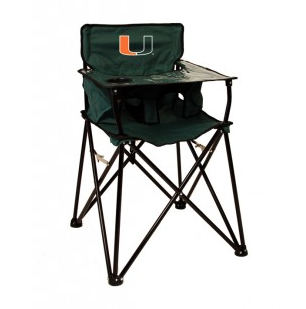 I chose to feature the University of Miami highchair in honor of my brother who is a die-hard fan and also purchased this gift for his niece to make sure she's a fan, too. My father-in-law is really going to be a fan of these next items since I chose to feature his all-time favorite baseball team, the Boston Red Sox. Any mom can tell you that these baby items are essential, not only for game day, but for everyday use. What a great way to show your team spirit by sporting your team’s logo on your baby’s favorite comfort item - her pacifier! So while this set is the epitome of team spirit for the game, you can continue to show love for your team year round through your baby’s everyday essentials. I found this clever, little set on fansedge.com,where there is a good variety of teams available. Next on the list is a must when you are out and about at a sporting event - a light-weight stroller. Being able to fold it up and carry it easily if needed is so convenient, and to have one decked out in your favorite team’s logo is just too good to be true. The visor is also a great feature to help block the sun from beating down on your little one. 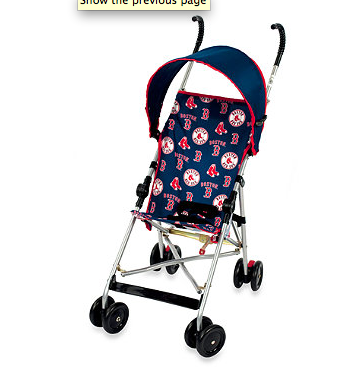 This stroller is from Buy Buy Baby, but I noticed their inventory is low and it's only available in MLB teams. The final item on my list is this handy, stylish and extremely convenient diaper bag. 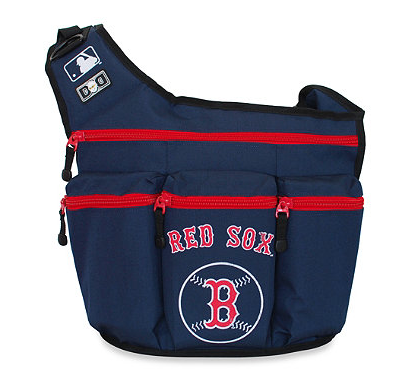 You know if you are going anywhere with a little munchkin, you need to bring along a ton of stuff and I think this diaper bag is perfect for a sporting event. Its messenger style makes it easy to carry in the crowd and the style is neutral enough for both mommy and daddy to wear, so daddy doesn’t look out of place in the sports arena. I also found this from Buy Buy Baby, but again, it’s limited to MLB teams. I hope you have found these tips helpful and are already planning your first trip to the big game with baby! Or if you just want to sport your favorite team’s gear AND be a stylish parent, that’s great, too. 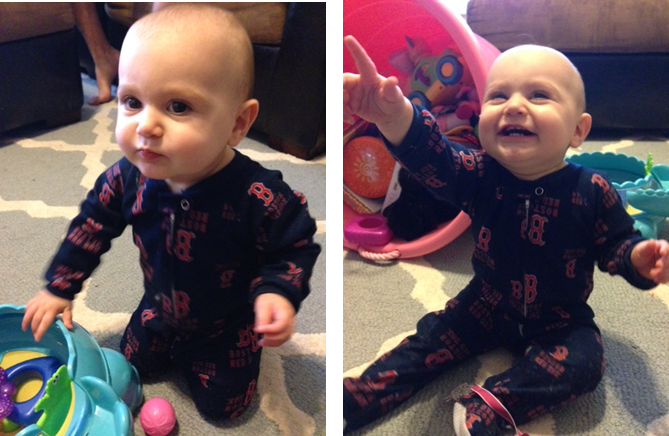 Before I go, I must mention that a good pair of baby pajamas in your favorite team is always a good idea! 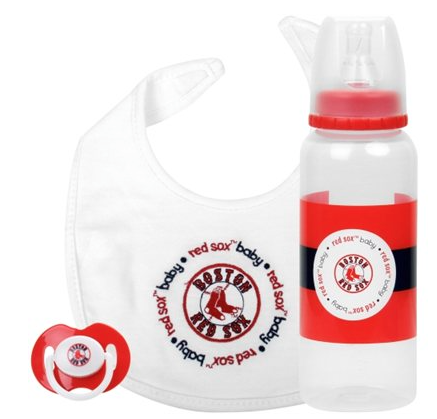 Which baby necessity do you think every sports fan mom needs? If you enjoyed this post, show Jane some love on Facebook, Twitter, Pinterest and Instagram!